Vita was invited to pitch at the Founders Live pitch event this past week at the Museum of History and Industry, a great opportunity for Brittany Bourcy, Vita’s Director of Operations, to present Vita’s work. Brittany pitched solo for the first time at the Founders Live event on Lake Union and was able to present Vita well. After the judges deliberated Vita was awarded first place in the competition. Great job Brittany! And thank you to the support from Travis, Urvi, and Crystal who all could attend and watch the win! 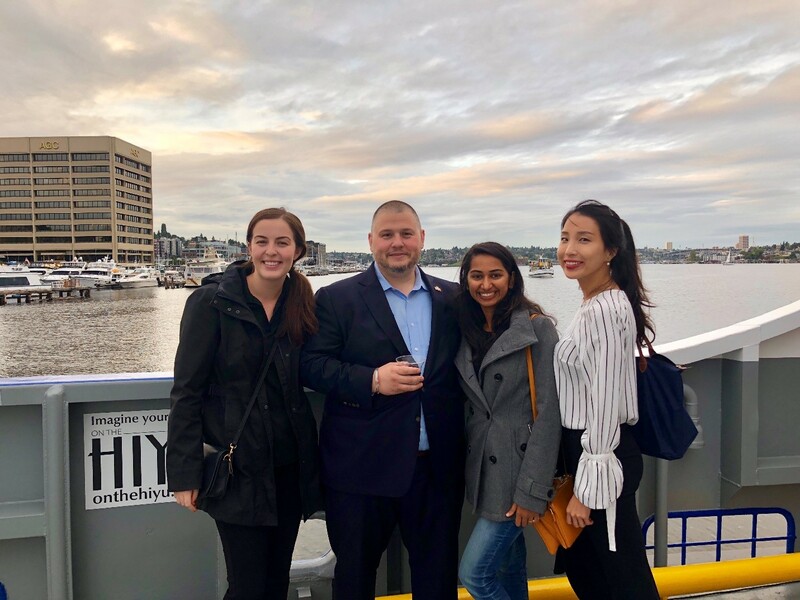 This event was a great opportunity for our team to spread the word about Vita’s work in load stabilization and to learn more about other innovative start-ups in Seattle. Vita will participate in another event like this during Seattle Start-Up Week this month. Vita will have a booth at the University of Washington’s Student Startup Showcase on Friday October 12th. The showcase is open to the public from 9:30-11:30am in the Student Union Building (HUB) room 250. We would love to see you stop by Vita’s booth and hear our pitch! Previous Post Edge 3 Voting!